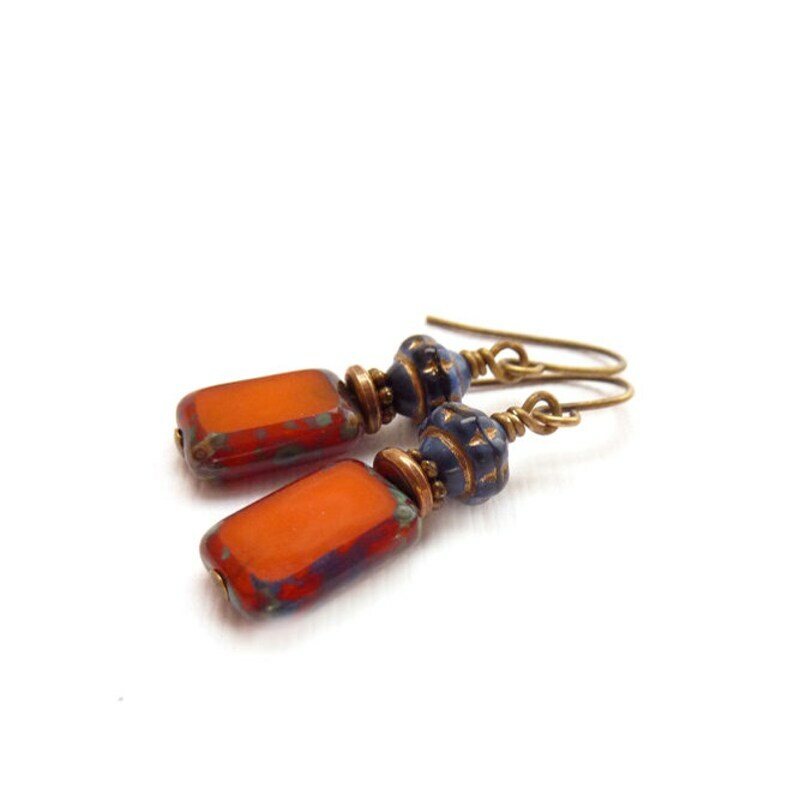 Beaded orange earrings that I made with fire polished rectangular glass beads and a cobalt blue glass bead on top. I also added antiqued bronze spacers for a vintage feel. These earrings are very petite but have a great pop of color. Your earrings will ship in a gift box. The earrings are very nice. Great quality. Item was delivered right on time.